BOYNE CITY, MI | January 23, 2019 – Great Lakes Energy (GLE) has announced construction plans for its fiber network starting this spring in parts of Emmet and Charlevoix counties. 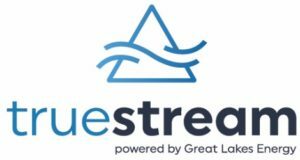 The construction will expand availability of Truestream fiber internet and voice services to thousands of rural residents who do not have access to fiber at their home or business. The fiber network delivers download speeds up to 1 Gig (1,000 megabits per second), massive bandwidth, unlimited voice services and no data caps. Brian and Anne Bates and son, Griffin, of Bear Creek Organic Farm in Petoskey enjoy their newly connected Truestream Fiber internet.